How do your home taxes compare to neighbouring Cities? How do your taxes and user fees compare to neighbouring cities? And how much more are you paying since the last election? How much have municipal taxes and fees increased since the last election in 2014. What do the 2018 candidates have to say about the amount of taxes and how they would spend that revenue? Homeowners in Metro Vancouver, the Fraser Valley and along the Sea to Sky Highway pay vastly different levels of property taxes and user fees, depending on where they live, to fund the services run by their municipalities. An analysis of provincial finance data for 29 cities shows how much the owner of an average detached house in each area would pay the municipality for standard items, including emergency services, parks, recreation facilities and road maintenance. We used this to determine where homeowners pay more or less; how much these taxes and fees have increased since the last municipal election in 2014; and whether they go up by a smaller margin in an election year when voters are deciding who to support at the ballot box. We also spoke to leading mayoral candidates to find out, if elected, whether they would lower or raise these taxes and fees, and how they would spend — or not spend — the revenue they generate. The answers varied as widely as the mill rates across Metro Vancouver. In Surrey, candidate Doug McCallum said he would ratchet back tax increases so they would grow only at the rate of inflation, and said he could do that without cutting services. In Vancouver, candidate Kennedy Stewart insisted that would be impossible to do. We stripped from this data all money that municipalities collect for other levels of government, such as for schools, TransLink and regional districts, because city halls do not control or spend this cash. What was left were general municipal taxes, which the municipalities use to run services; user fees, which can include street parking, utility fees and community centre charges; and parcel taxes, which are temporarily applied to certain properties to help the city pay for major upgrades or new infrastructure, such as sewers. • In 10 municipalities, an average homeowner pays $4,000 or higher annually, including Vancouver, White Rock, North Vancouver District, and West Vancouver — the latter has the highest average bill at nearly $6,500. • In 14 municipalities, an average homeowner pays between $3,000 and $4,000 annually, including Surrey, Delta, Burnaby, Richmond and Coquitlam. • In five municipalities, an average homeowner pays below $3,000 annually, including Pitt Meadows, Chilliwack and Hope. * Overall property tax bills are higher than the amounts above because municipalities also collect taxes for schools, TransLink and other levels of government that have not been included because city halls do not control or spend that money. ** Taxes collected by these five small municipalities are higher than shown because they pay a police tax that is not included in these figures. Source: Government of B.C. Most homeowners will have a much higher municipal tax bill, perhaps double these amounts, when the money for other government services is included. Both Vancouver and West Vancouver say they get to keep only half the money collected for property taxes, utilities and other fees each year. Vancouver reports that nearly a third is handed over for schools, 12 per cent for Metro Vancouver, and seven per cent for TransLink. With the next municipal election three weeks away, we also wanted to know by how much these taxes and user fees increased since this round of mayors and councillors took office in 2014. • In some cases, municipalities that already had high taxes and fees, such as Lions Bay, Vancouver, West Vancouver and Port Moody, also increased them significantly — between 20 and 35 per cent — over the term. • Other jurisdictions, such as Surrey and North Vancouver City, raised their payments substantially since 2014 as well, but their homeowners still pay relatively low or average amounts of taxes and fees compared to other cities. • By comparison, Richmond and Burnaby have average taxes and fees, and in Pitt Meadows and Hope they are even lower, but none of those municipalities has increased them noticeably over the term. • Places like Whistler and Bowen Island have higher tax bills but have also kept their rates relatively flat each year since the last election. The Postmedia analysis also showed that in nearly every one of the 29 municipalities, increases to taxes and fees were the highest in the first three years of the term. Then increases fell dramatically for this year — an election year. Is this an election ploy to woo voters into thinking kindly of the outgoing mayor and council, who may be running for re-election? No, say Surrey councillors Bruce Hayne and Tom Gill, both running for mayor. According to the provincial government data, money paid by the owner of an average house in that city increased six per cent each year between 2014 and 2017, but only three per cent in 2018. Both candidates, though, maintained the taxes and fees collected were consistent each year and that there was no plan to reverse the rate of tax increases in time for the election. One of the most extreme examples was in North Vancouver City, where taxes and fees increased an average of seven per cent in the first three years of the term, but then dropped two per cent in 2018. This may have been an effort to curry voters’ favour, says Guy Heywood, a former North Vancouver City councillor who is now running for mayor. “Spending always goes down before an election. Staff will curtail expenses as the mandate of a council comes to the end and councillors want to look fiscally prudent,” said Heywood, who was a councillor from 2008 to 2014. But he added that some expenses do fluctuate each year beyond the control of city halls, such as weather-related issues like snow-clearing and social challenges like the opioid crisis. North Vancouver City Coun. Linda Buchanan, who is running for mayor, did not directly answer the question about this apparent decline in money collected in 2018, but said council generally accepts recommendations from staff about tax rate changes, which she has disagreed with at times when she worried there may not be sufficient revenue being collected to fund services. Voters will decide on Oct. 20 who they want to run their city halls, and so we asked some of the main candidates to discuss taxes and fees, and what they would spend the revenue on or what services they would cut. In Vancouver, the owner of an average house (valued at $2.5 million) paid $4,400 in taxes and fees in 2018, the seventh highest amount of the 29 cities, behind areas such as West Vancouver, Whistler and White Rock. Between 2014 and 2018, taxes and fees jumped by 22 per cent — one of the biggest increases in the region. During a recent Vancouver mayoral debate hosted by The Vancouver Sun and Province newspapers, candidates were asked if they would support the same rate of tax increases, or a higher or lower amount. Contenders Ken Sim, Hector Bremner, Wai Young and Fred Harding all said lower. Stewart said increases should stay about the same. Shauna Sylvester noted Vancouver’s rates are lower than West Vancouver and some other North American jurisdictions, and said the city raised taxes because senior governments have off-loaded major costs such as the overdose crisis and affordable housing. It is impossible to make promises about local taxes, she argued, without discussing the roles of Victoria and Ottawa. Bremner, though, insisted they must come down. “There are people who are being taxed out of their homes right now,” he said. He, along with Sim, Young and Harding, all promised some type of financial audit of the city to try to find efficiencies to cut spending. When pressed about cuts her city hall would make if elected, Young suggested she would save money by stopping major projects, such as the demolition of the Georgia Street viaducts and construction of more bike lanes. Stewart argued a major portion of a city’s budget is emergency services, such as police, fire and ambulance, so it is very difficult to make sizable tax cuts without trimming services. He dismissed as “wishy-washy” the other candidates’ plans to limit taxes and fees without significantly impacting city amenities. Bremner, though, insisted it would be possible by increasing revenue in a new way, such as generating more profits from city land by building small, walkable, business-friendly communities. “It’s not about cut or spend. It is not a zero-sum game,” Bremner said. In Surrey, Metro’s fastest-growing city with 1,000 additional residents every month, the taxes and fees paid by the owner of an average house (valued at $1.1 million) are lower than two-thirds of the cities analyzed, at $3,369 a year. But the amount collected in Surrey between 2014 and 2018 increased by 23 per cent, a higher rate than in all the other cities except two. Gill, a two-term councillor with Surrey First, the party that has dominated council since 2005, said Surrey’s rates have traditionally been low, so even if they are increasing more quickly, homeowners are still getting good value. Surrey’s outgoing council passed a 10-year recreation plan for Surrey, including new ice rinks in Cloverdale and Whalley, and a transportation plan to ease congestion, which Gill said are priorities for him. He criticized the administration overseen by McCallum, who was mayor from 1996 to 2005, for financing a tax freeze by selling off public lands. Bruce Hayne, who was elected a Surrey First councillor for the past two terms but recently split from the reigning party and is running for mayor as an independent, agreed Surrey’s taxes are increasing because the city is “slowly playing catch-up.” He said cutting taxes is a great sound bite, but doesn’t get desperately needed amenities built in a growing city or provide a sufficient number of first responders. He believes more options are needed for youth in Surrey, but something more than sports facilities; if elected, Hayne would like to see a youth centre built that offers arts, music, dance and drama. McCallum, though, is proud of his record of freezing taxes over his nine years as mayor. If elected again, he would continue that trend, but says he could still bring in a municipal police force and avoid cutting existing services by eliminating financial waste and “redistributing” revenue among departments. Among the crowded field of mayoralty candidates in North Vancouver City, Coun. Rod Clark agrees with trying to keep tax increases to the rate of inflation — something he said he proposed but wasn’t supported by outgoing Mayor Darrell Mussatto and his slate of councillors. Despite this call to reduce the amount of taxes being collected, he still champions securing affordable rental housing through negotiations with developers, and the still-to-be-built Harry Jerome community centre project — for which one per cent of the tax rate is being designated. 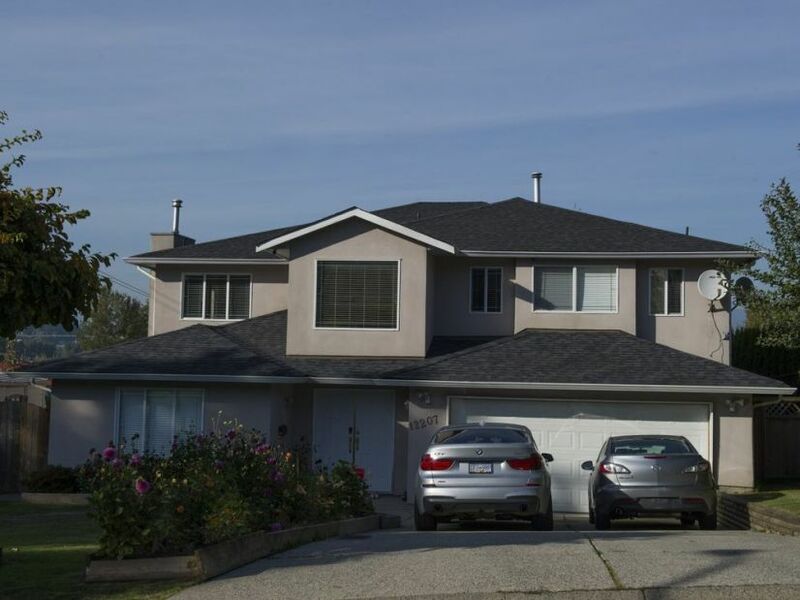 The 2018 amount of taxes and fees paid by the owner of an average North Vancouver City house, valued at $1.7 million, was $3,847 — higher than in Surrey but lower than in Vancouver. Since the last election, taxes and fees have increased by 20 per cent, the eighth quickest pace in a field of 29 cities. His council colleague, Buchanan, said council opted to raise taxes “modestly” to ensure it has the funds to offer services and public amenities the growing city will need in the future. “By contrast, we have seen in neighbouring municipalities the decision to cut services and to burden future generations by borrowing, rather than saving, to pay for needed public infrastructure,” she said. Buchanan would like to continue the save-for-a-rainy-day tax model of the current council. “We ensure that we build the financial reserves necessary to repair and replace in the future. We do this for everything from roads, to water and sanitary, to replacing major pieces of firefighting equipment like ladder trucks,” she said. At the same time, she wants a “rigorous review” of the costs of the massive Harry Jerome centre, saying she would like the project to proceed but that her city must “build smarter” so it has the money to invest in other priorities such as greenways and arts and culture facilities. Her competitor, Heywood, argued that municipalities with urban cores, such as North Vancouver City, New Westminster and Port Moody, spend more on policing, social issues and housing than suburbs like North Vancouver District without a downtown area. Heywood believes savings could be found, and taxes potentially reduced, if there was better collaboration between the two neighbouring North Vancouver municipalities — a concept that he said has not been welcomed by the existing council. If elected, Heywood’s priorities would include finding financial efficiencies and reducing traffic gridlock. Mayoral candidate Kerry Morris, a fierce critic of the previous council, said taxes went up unnecessarily because of spending on projects he dismissed as frivolous, such as some bike lanes and the Lonsdale energy system. The owners of single-family homes have been hardest hit by tax hikes, says Morris, because of factors including council’s decision to allow coach houses on every lot, which led to increased property values, and a tax shift from condos to houses. “So single-family homes have indeed borne the largest increase and priced many who own those homes out of the market,” he said. City by city, there was no correlation between the amount of taxes and fees paid and the price of an average home. For example, the 2018 taxes and fees paid by the owner of an average home in Vancouver and Port Moody are the same at about $4,400 even though the value of an average house in Vancouver is $2.5 million while the value of an average house in Port Moody is $1.3 million. And the fees paid by homeowners in Hope represented a much larger proportion of their relatively low home values compared to in West Vancouver, where the tax bill was pennies on the dollar of an average house value. The taxes and fees are based entirely on the budget of each municipality. And how much your bill will be in 2019 will depend on the mayors and councillors elected, and their priorities for taxing and spending.